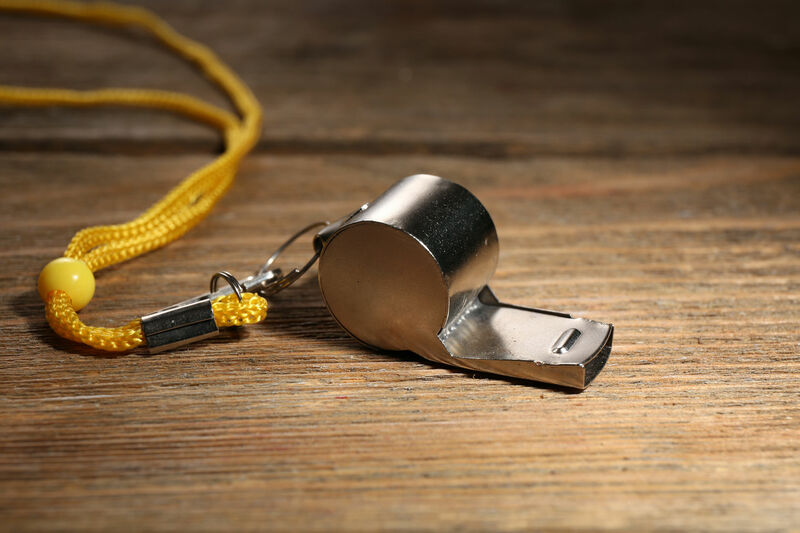 The whistle originated in ancient China around 5000 years ago. In cs. 200, TS' AI Yen, an Ancient Chinese Woman Poet refers to the Tatar Reed Whistle in her poem titled, "18 Verses Sung To a Tatar Reed Whistle." It appears that the whistle got it's name during a war torn time during the Han Dynasty when the soldiers and civilians were fleeing death and suffering. It was used as an alert for people to know when the barbarians where sited. By the 11th century, it had made it's way to Europe. Stone high crosses in Ireland have carvings of players blowing on bone pipes with narrow conical bones. With the 12th century, bird bone whistles were used. The High Street excavations in Dublin's old Norman quarter have yielded the oldest specimens of this Irish version of the whistle . In the 19th century, the "Feadan" was whistle made from from hollowed stalks of such plants as cane, elder, and wild reeds and grasses. As craftsmen became more proficient in bonecarving and woodworking, new materials were used for the exterior, reeds and fipples or flageolets. The newer ones were made of clay. In 1843, the tin whistle was made by Robert Clarke after he modified the design of a wooden whistle he himself owned and played. The Clarke Tinwhistle Company is one of the largest manufacturers today. By 1870, the Boatswain's Pipe was used to give commands to the crew of ships. Even though the name has the word "pipe" in it, it's truly a unique whistle. The high pitched notes can be heard in the worst gales. Today it's used mostly for ceremonial purposes. Joseph Hudson, a Birminghan, England toolmaker, revolutionized the world of whistles in 1884. This was the world's first and leading pea whistle called the Acme Thunderer. In order to supplement the family income, Joseph had done everything from watch repair to cobbling shoes. It was his passion for whistles that prompted him to try numerous designs to perfect a whistle for the London Police. One day while playing his violin, he dropped the violin, and the broken violin emitted a high-pitched sound, that he knew was unique and would carry a long way. He had the perfect sound for his police whistle! His whistle when tested, was heard over a mile away, and became the official whistle of the London Bobby, which is still used to this day. In 1995 Acme celebrated 125 years of whistle manufacturing. Plastic whistles were first manufactured in Britain in 1914, after earlier attempts to produce a satisfactory model from vulcanite (hardened rubber) had failed. This allowed design variations and colors that became popular with consumers. The components of modern plastic whistles may be either glued or ultrasonically welded together. Soccer games used to be referreed with white flags until 1878, when a whistle was used for the first time at the English Football Association Cup 2nd Round game between Nottingham Forest (2) vs Sheffield (0). Prior to this, games were refereed using a white flag. In 1930, the 'Pro-Soccer' whistle had a special mouthpiece and a barrel for even greater power and a higher pitch for use in a noisy stadium. In 1935, the Acme Silent Dog Whistle became available. This is still the ultimate in training and commanding for sporting and domestic dogs. Ultra sonic adjustable frequencies features allow it to be heard for long distances. The first life-saving whistle was developed for use on life-jackets and flotation devices in 1949. By 2002, Whistle Away Crime was established in response to the communities' desire for safety in an unsafe world. We have searched and extensively tested many products on the market and have discovered that our product is far superior and unique. It's a 3 chamber whistle made of a durable plastic that is virtually undestructible. Combined with empowerment training, the Whistle Away Crime® safety training is even more unique and the perfect tool for a safer, more confident environment.